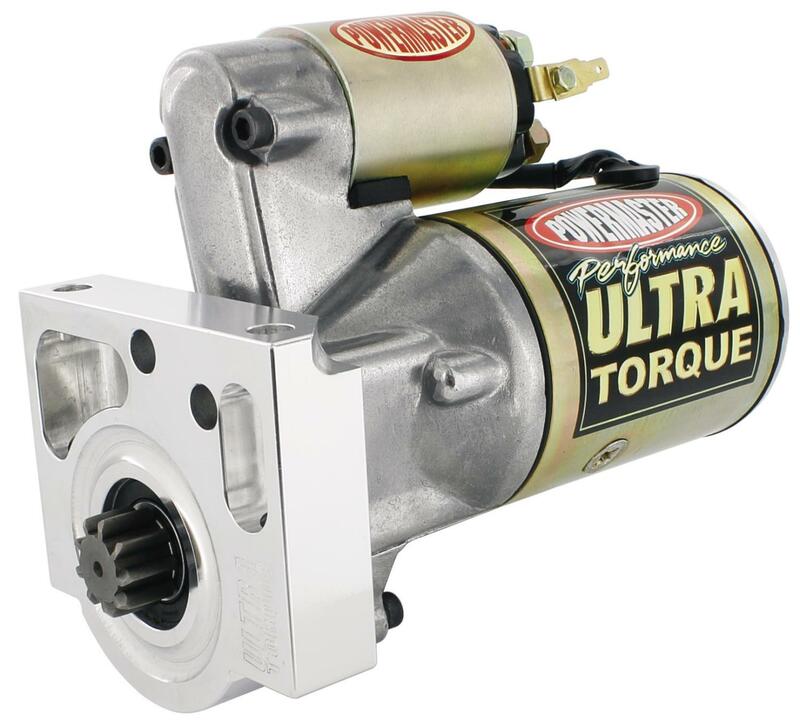 Powermaster Ultra Torque Starters are designed for cranking power for over 18:1 compression. Features 4.4:1 gear reduction and 2.5KW with 3.4 HP. Works with oversized kickout oil pans and is water and corrosion resistant. Machined aluminum, adjustable block brings the weight in at only 10.5 lbs. Does Powermaster 9410 fit your vehicle? 9410 is rated 5.0 out of 5 by 1. Rated 5 out of 5 by CaveCreekChump from Powermaster products are as good as they come! Not only does the Powermaster starter I purchased for my '67 GTO fit and operate exactly as promised, it was very reasonably priced...a great value! I have visited the Powermaster facility in West Chicago, IL several times, picking up alternators and starters for my project cars as well as those of my friends. Each visit is very rewarding as a look around the reception area gives proof to Powermaster's support of the classic car hobby. Once I was treated to a tour of the manufacturing and shipping areas of their operation and was actually introduced to Jesus, the man who actually built my alternator. My faith in Powermaster products is unshakable!